A bespoke plane livery has been unveiled promoting Ninetology Malaysia’s ASEAN wide expansion. The phone manufacturer and retailer based in Malaysia & Indonesia provide cost effective and highly reliable smartphones, which have captured the Malaysian market by storm, especially amongst the 16 to 25 age groups. This innovative marketing partnership, which also included advertising for Ninetology through AirAsia’s other media channels, was coordinated and by PHAR. Since the branding and advertising went live, Ninetology’s business has soared by 40%, with CEO Sean Ng highly recommending the AirAsia media channels for other brands in the market wanting creative advertising platforms with the ability to reach millions of eyeballs. Earlier this year PHAR launched AirAsia’s new regional Travel 3Sixty magazine, specially designed for the Indonesian market. Click here to read more. 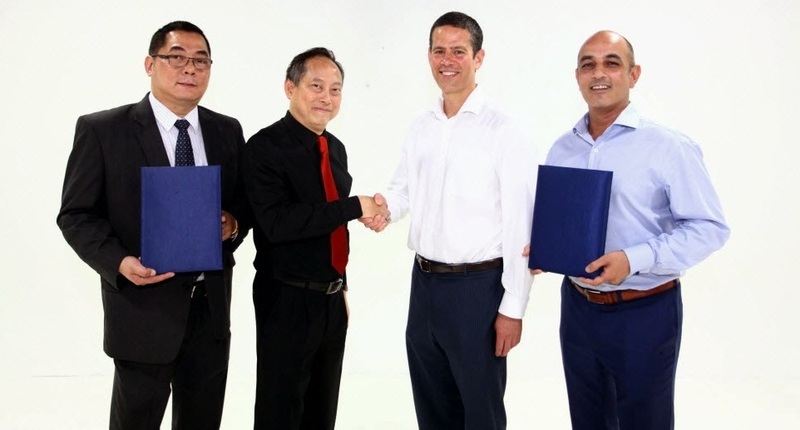 PHAR has appointed VGI Global Media, Thailand’s leading provider of out-of-home media solutions, as the exclusive ambient advertising agency for Thai AirAsia. VGI will sell advertising space in both the exterior and interior of all Thai AirAsia carriers including overhead lockers, meal-tray backs and plane wraps. Thai AirAsia, Thailand's largest low-cost airline, flies to over 35 domestic and international destinations within the region. The airline operates with a fleet of 37 brand new Airbus A320 aircraft and has plans to receive an additional 6 more during the year. In 2013, Thai AirAsia carried over 10.5 million passengers and is expecting to exceed that number in 2014. Marcus Wight CEO of PHAR Partnerships commented: "It is a very exciting opportunity for PHAR and VGI to create successful partnerships for Thai brands with AirAsia. VGI's expertise and size in the Thai market makes them the outstanding partner for us to work with in maximizing ancillary revenue for AirAsia and delivering a package of rights that companies want."